Dark Souls 3 is excellent on PC, but it’s a haven for cheaters. 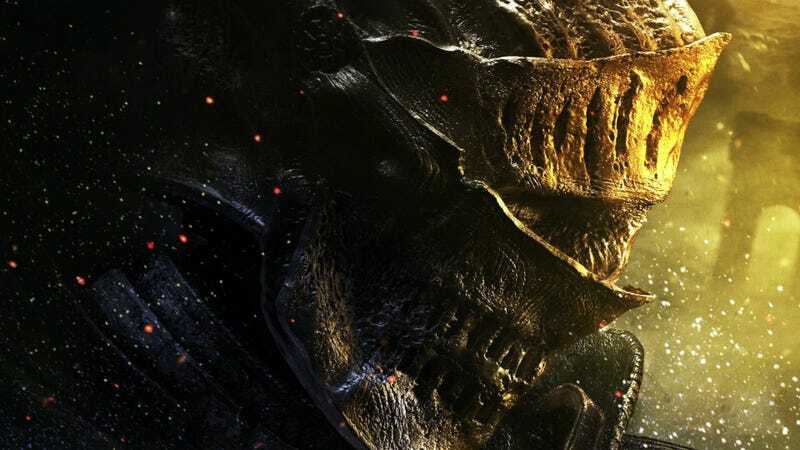 From Software’s solution seems to be blaming the fans who love their game. The game didn’t explain what it meant by “invalid game data,” but in the past, this can mean altering the game code, running mods, or cheating. It can also mean you did nothing wrong. I’ve been writing about the abhorrent cheating situation in Dark Souls ever since I joined Kotaku. Though a PC version of the original game exists, it wasn’t until Dark Souls 2 that From Software took PC players seriously. So while Dark Souls 2 had its issues, I was hoping they’d clean up their act for the sequel. Unfortunately, it’s been more of the same—it’s a trainwreck. Like many online games, Dark Souls 3 scans player data for cheaters and hackers. If corrupted data is found, they’re “softbanned,” which means they can continue to play the game online, but only with other cheaters. Other games have used this jailing technique, but From Software’s ban hammer is large, sweeping, and ensnares players who did no harm. It’s possible to trade items with one another, and in Dark Souls 2, if a player dropped a hacked item, it would “infect” your game and you could get banned for picking it up. Eagle-eyed players might be able to tell if an item is hacked—a telltale sign is a weapon being upgraded past what the game should allow—but it’s easy to see how someone might get tricked. This can happen in Dark Souls 3, too. The game’s publisher, Bandai Namco, calls this “taking candy from strangers,” according to its customer service website, fielding a question about why a player might find be banned. Trading items in Dark Souls 3 is encouraged—it’s a feature. It’s the job of the developers to protect their fans from malicious players, not blaming them for the audacious act of playing the game they paid money for. “I started getting the invalid data msg after I got invaded by 2 hackers, one using unlimited flasks and one that took 0 DMG from me,” one user wrote to me this week. They ended up reporting the players to Bandai Namco, but as of right now, they can no longer play the game online with friends and strangers. “I just let them kill me so I could move on,” said the player. You might think that avoiding other players entirely is the best course of action, but going offline means you don’t get access to the helpful community messages. Furthermore, if you repeatedly quit the game after being invaded, the game will eventually punish you for quitting! According to Bandai Namco, players can shield themselves by trying to avoid hacked players and items...or backing up their saves to the cloud. Wait, Dark Souls 3 doesn’t already back up saves to the cloud through Steam Cloud? Nope. Instead, Bandai Namco wants you to sign up for an outside service to protect yourself from the game you bought. That’s asking a lot of players. What happens if your backed up save is from 20 hours prior? Dark Souls 3 is a terrific game, but having to fight through a bunch of bosses all over again might break my hollowed spirit. According to Bandai Namco’s website, when presented with the error, players “have a chance” to replace flagged data with clean data. It’s unclear how long they have before the game will permanently mark them. It’s worth pointing out that Bandai Namco is the publisher, not the developer. From Software is the one building these games, and this has been a problem for years now. The PC version of Dark Souls 3 is excellent, the best PC version of a Dark Souls game yet, but they’ve got serious problems dealing with the PC community. They’re punishing their fans.